UAE: Is Ramadan a month of fasting, or feasting? Although there are no figures available for Dubai, the Environment Agency of Abu Dhabi released figures in August 2010 showing that approximately 500 tonnes of food gets thrown away in the capital during Ramadan. An unholy amount of food gets wasted during Ramadan as hotels outdo each other in putting up huge iftar spreads comprising 40-50 dishes that leave patrons biting off more than they can chew. TODAY, we have fashion hotels, underwater hotels, ice hotels, seven star hotels, etc., and, for the devout, syariah-compliant hotels! In the last 15 years, I’ve travelled to more 35 countries and stayed in over 100 hotels, and most of today’s syariah-Shariah compliant (SC) hotel’s neither provide a religious experience nor value for money. Ramadan is a period of introspection for Muslims and Islamic financial institutions to better observe Islamic teachings, appreciate our blessings and be moved to action by the burden of others. What’s the matter with kids today and why doesn’t anyone want them around? In June, Malaysia Airlines banned babies from many of their first class cabins, prompting other major airlines to consider similar policies. With many taking their summer holidays now, and flights full to places all around the world, here is an article on that famous airline meal that we all dread but still look forward to when we are the trapped recipients of it. Hotel operators which have yet to obtain halal certificates from the Islamic Development Department of Malaysia (Jakim) have been urged to get their certifications to ensure that the food and drinks they served during Ramadan are halal. Many Muslims who travel to a non-Muslim countries say that getting halal food is a major concern, and many say that they are reluctant to eat in restaurants that serve pork. The Arab spring is fuelling a Turkish summer as Saudis, Kuwaitis and other tourists from the Gulf states who would have previously spent summers in Syria or Egypt look further north. Representatives from 70 halal organizations from 35 countries have been invited to join the ‘Phuket Halal International Forum and Andaman Muslim Expo 2011’, which gets underway at Phuket Graceland Resort and Spa in Patong on June 22. Singapore based Crescentrating have joined hands with the Islamic Community in Bosnia and Herzegovina’s Agency for Halal Quality Certification to promote Halal Friendly Travel services and facilities in the region. It was my first visit to the Balkans, where I was doing a series of Halal Workshops, and I was struck by the natural beauty of the region. They all have plenty to offer; great views of nature, beautiful mountain ranges, sprawling valleys, historic old towns… really great places to explore! In a bid to lure Muslim tourists, hotels across the Middle East are replacing traditional Western signs of luxury with others carrying Arab and Muslim touches. About 88 percent of Arab travelers said they would like to stay in an Islamic hotel during their holiday travel. The Tourism Authority of Thailand (TAT), in collaboration with Thai hotels and travel industry partners, is set to entice Middle Eastern travellers to Thailand with a ‘home away from home’ experience this summer by way of special “Ramadan Packages” and related activities during the Holy Month. 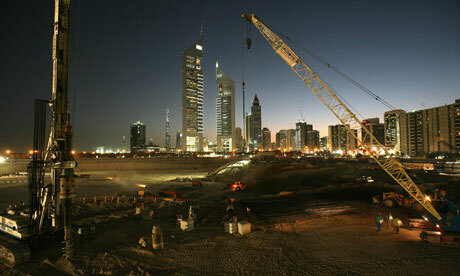 Dubai seems to be a place where the worst of western capitalism and Gulf Arab racism meet in a horrible vortex. The Indian consulate in Dubai has revealed that at least two Indian expats commit suicide each week. There is something deeply sinister about Dubai luxury. This is the time of year when Edgware bursts into activity as visitors from the Gulf migrate to the fashionable London district to escape the summer heat. Edgware Road’s microculture hints at an intriguing global multicultural future for the Arab and Muslim worlds. Serving as a gateway to the Middle East is Module C in Terminal 1, where airlines such as Emirates, Etihad Airways and Oman Air offer flights to major centers in the region. In addition to signage in German, English and Arabic, the food services in departure area feature halal menu selections. Brunei Halal brand, tourism industry and preferred list of industries promoted by the Sultanate were highlighted yesterday to Jerzy Wenderlich, Deputy Marshall of Sejm of the Republic of Poland and members of the Polish Parliament. The Middle East has become a lucrative tourist market for the Coast over the past decade, delivering tens of thousands of visitors, including wealthy Arab sheiks and their entourages. 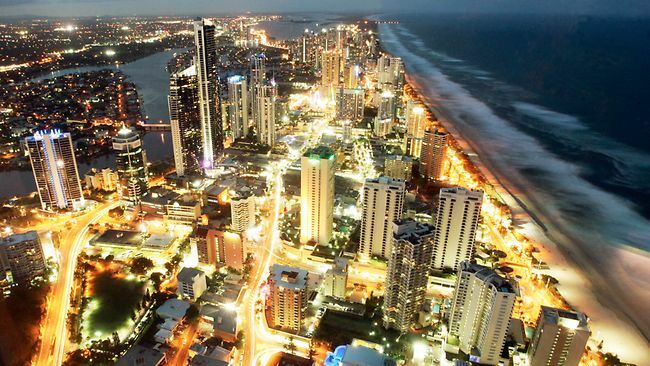 Many Gold Coast hotels and theme parks now have prayer rooms and serve halal food to cater for Muslim visitors. A majority of the Middle East and Gulf tourists look for Halal foods when they go abroad and Italy is not an exception. Italy has a good variety of Halal food and trying to improve it more. There is certified authentic Halal food available in Italy and it is also very important for their exports to Arab countries. The need to cater to the various patrons of the Royal Cliff Hotels Group has prompted the management to come up with this highly welcomed initiative for the benefit of all Muslim travelers.